My sister-in-law, Tricia, and I share a fond affection for macaroons. And ice cream. And oreos. 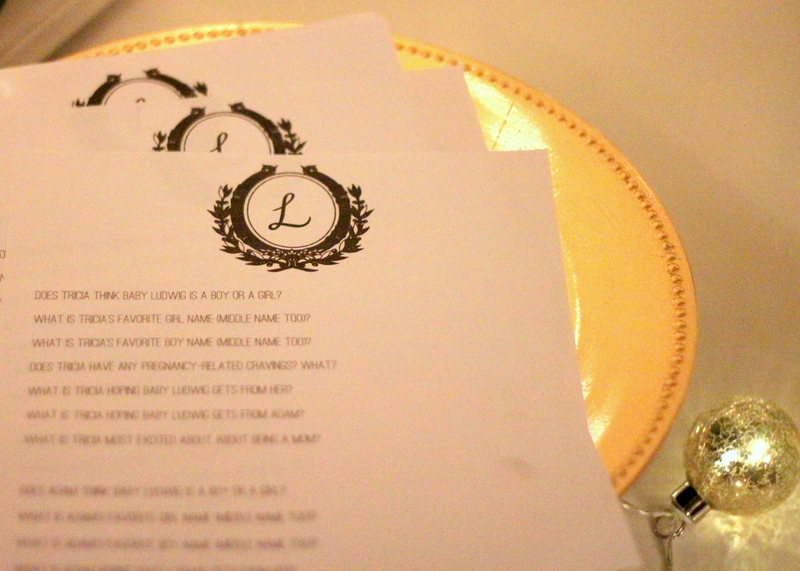 And a whole list of other fabulous sweet treats. 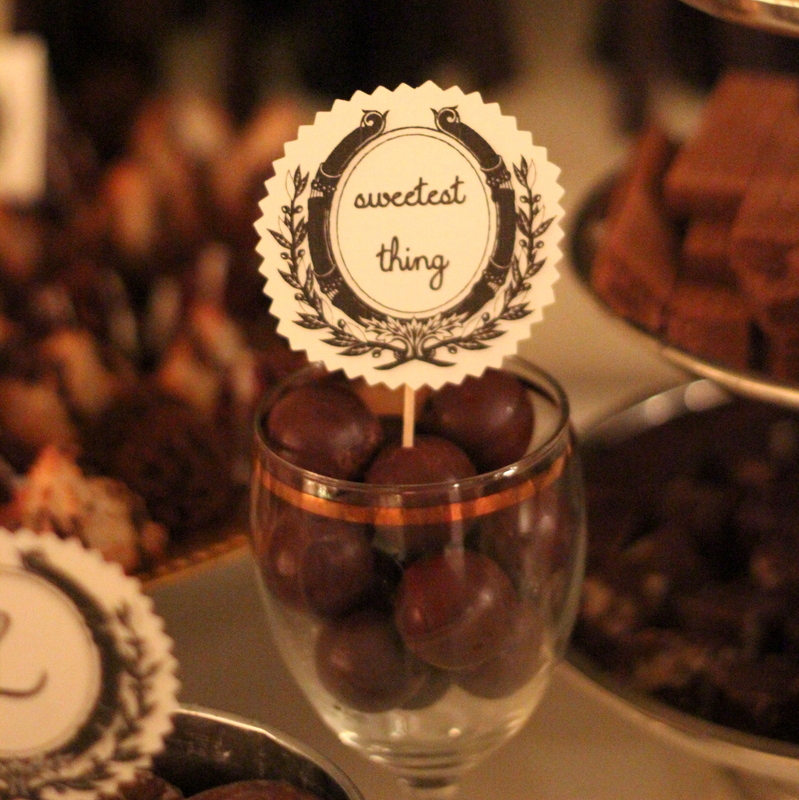 So this “Sweetest Thing” chocolate themed baby shower was right up her alley (and I don’t know if I’ve ever had so much fun putting together a shower menu, except maybe for Piper Jane’s sprinkle party). Also, the brown + metallics palette was perfectly gender neutral since they aren’t finding out if Baby L is a boy or a girl. 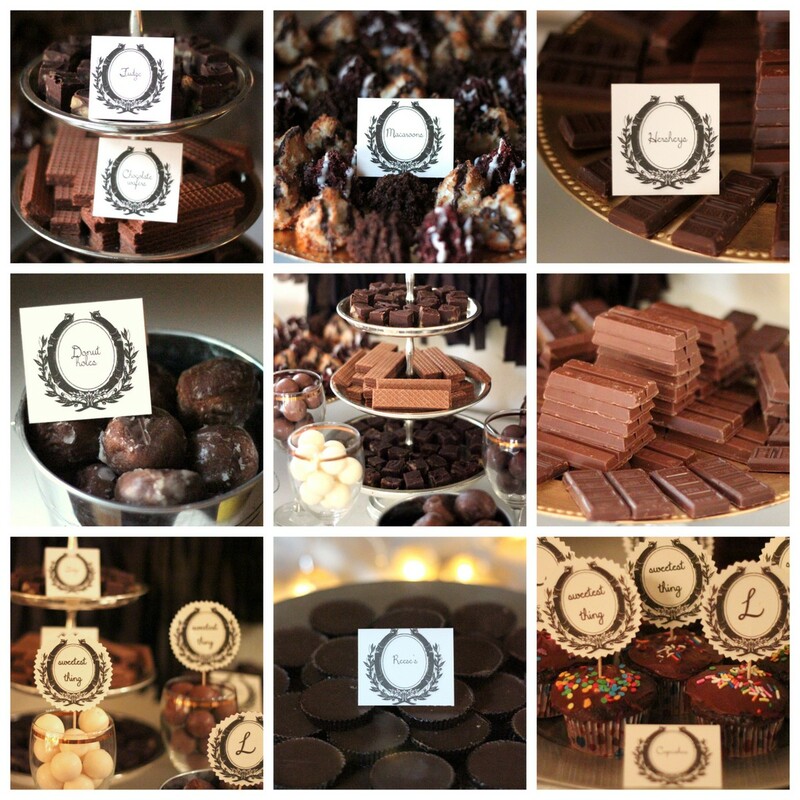 MENU Fudge, chocolate covered pretzels, Reeses, KitKats, mini Hershey’s bars, macaroons (three kinds- double chocolate, red velvet and traditional macaroons), chocolate donut holes, chocolate chip cookies, oreos (and chocolate dipped oreos), chocolate cupcakes, chocolate wafers, chocolate covered strawberries, chocolate saltine toffee bars. 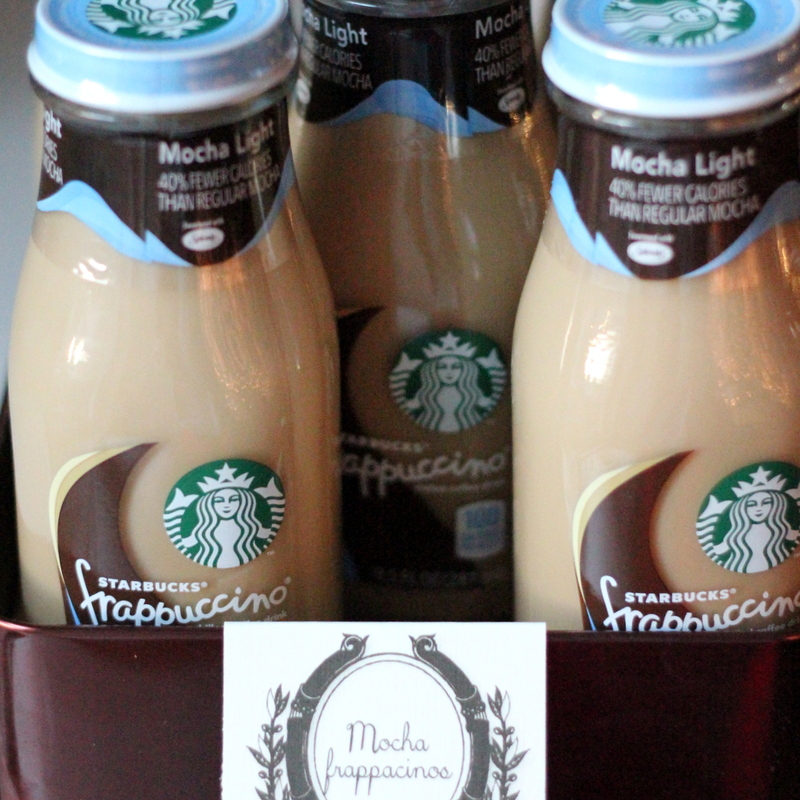 We also had coffee, mocha frappacinos, and milk to pair with the chocolate-y treats. When I asked Trish for a list of her favorite chocolate treats, hot cocoa was on the list. 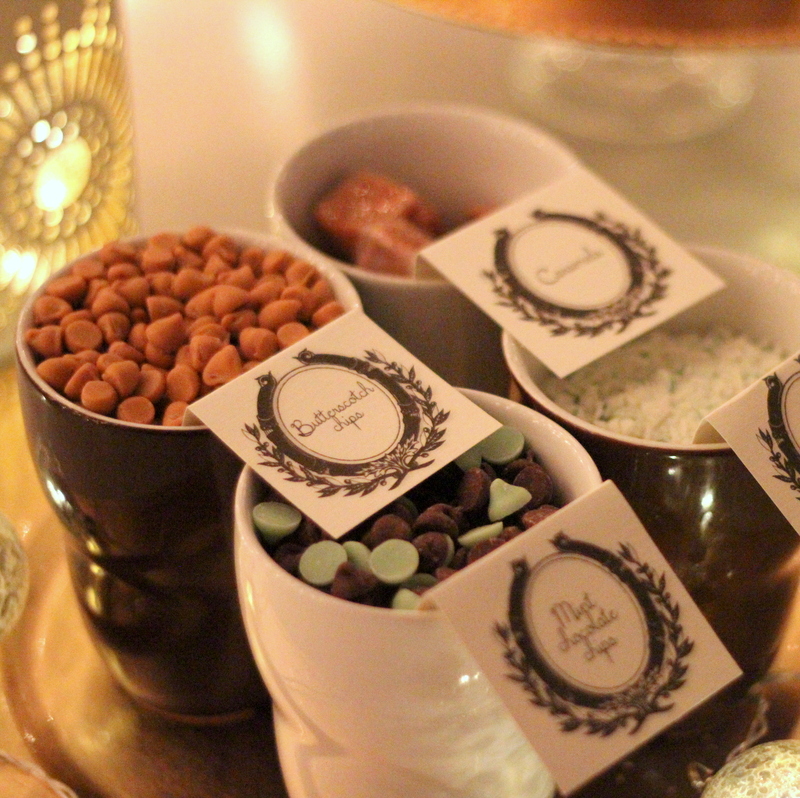 And what’s more fun than a whole hot cocoa bar, full of flavored syrups, caramels, mints, chocolate chips and other mix-ins? 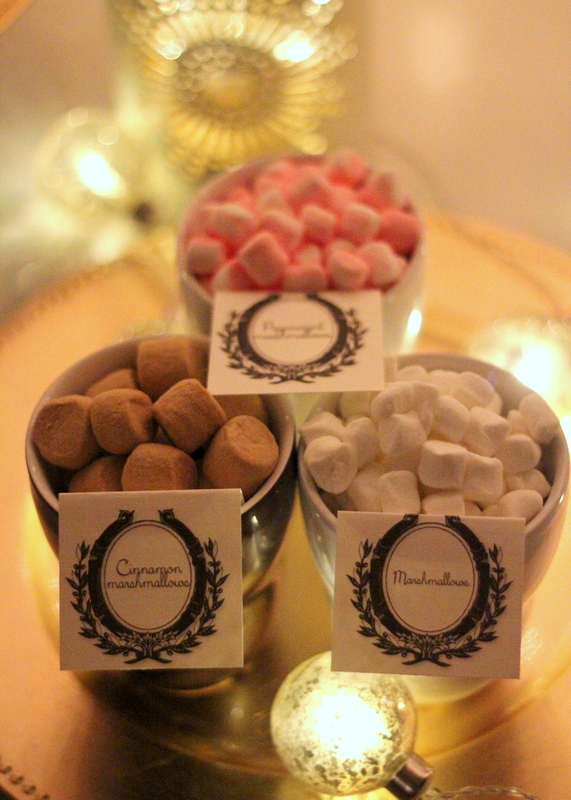 We even had several kinds of marshmallows on hand, contributed by my health-food-loving mom, nonetheless. 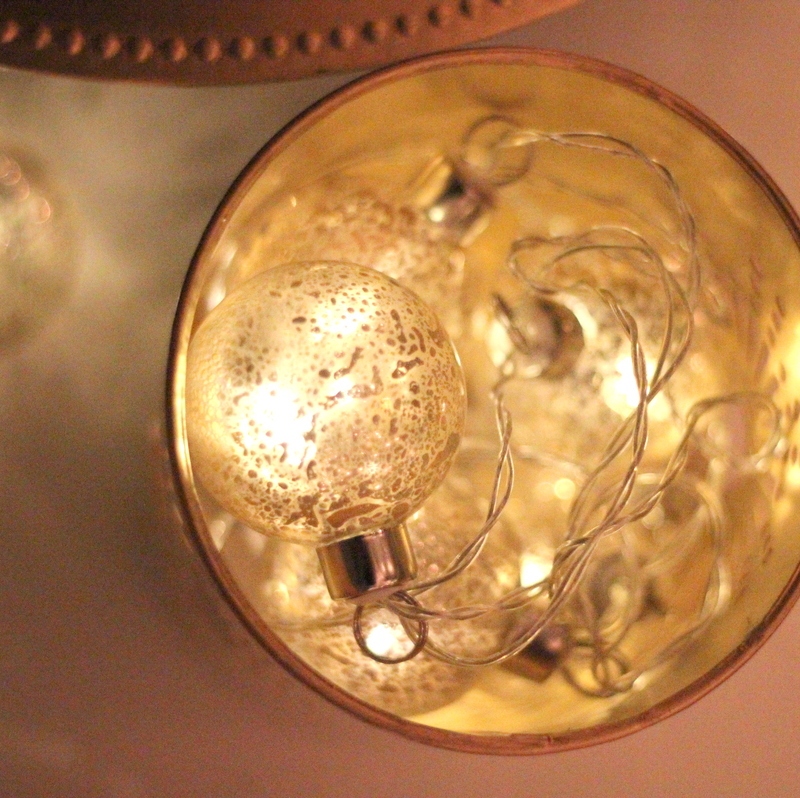 The decor for this shower can pretty much be summed up in two words- twinkle lights. 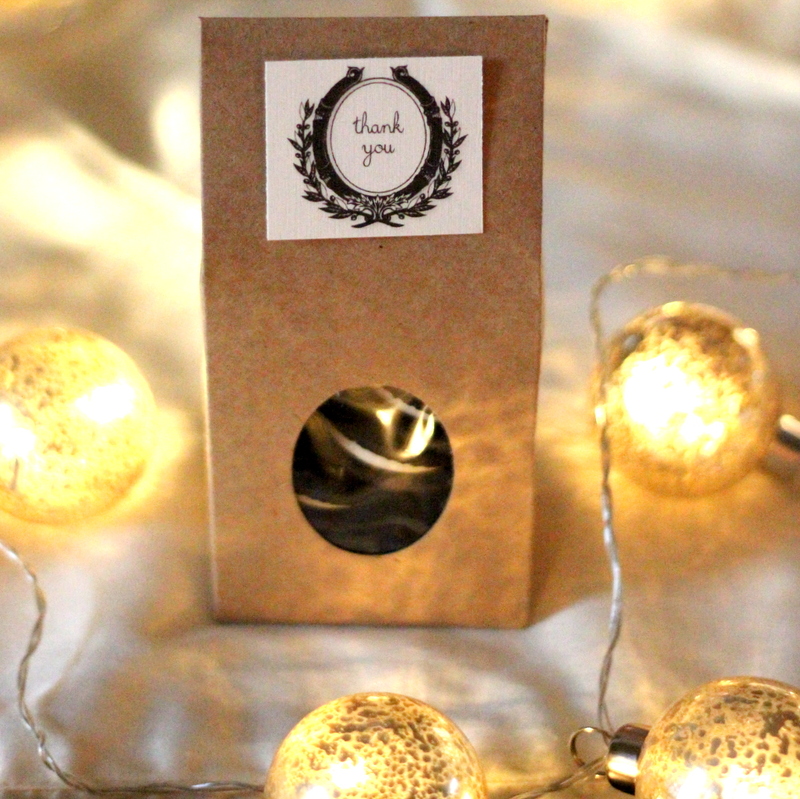 Aside from the Christmas-light backdrop for the hot cocoa bar, there were strings of lights in luminary jars, twinkle lights woven throughout the cakestands on the treat table, and lights strung around the room. 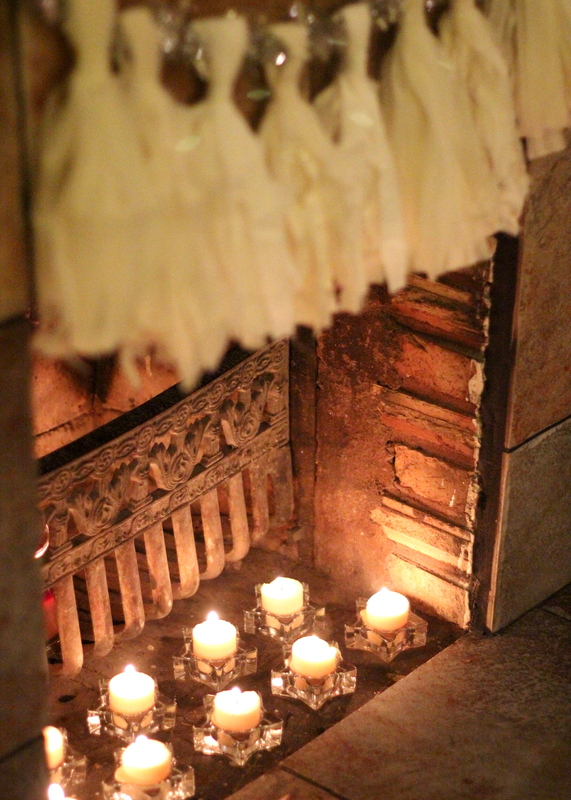 …and a white one on the mantel. 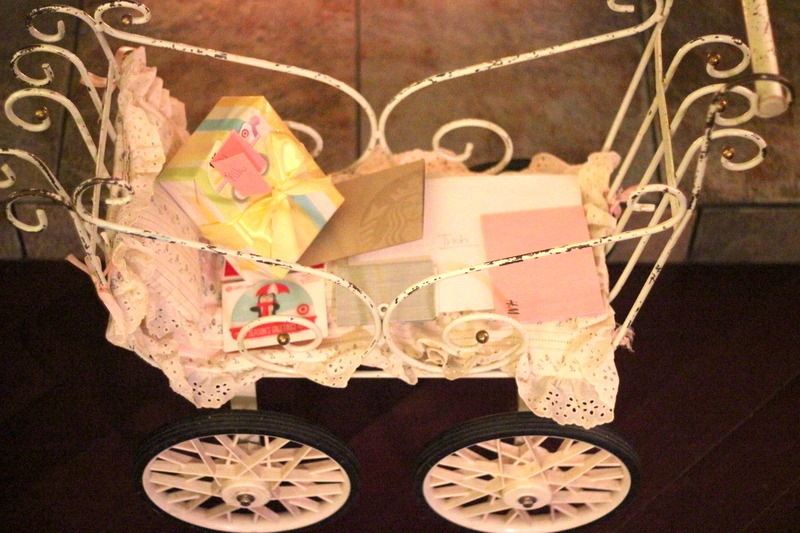 Also, my mom has this great vintage stroller that we used to collect cards and gift cards. 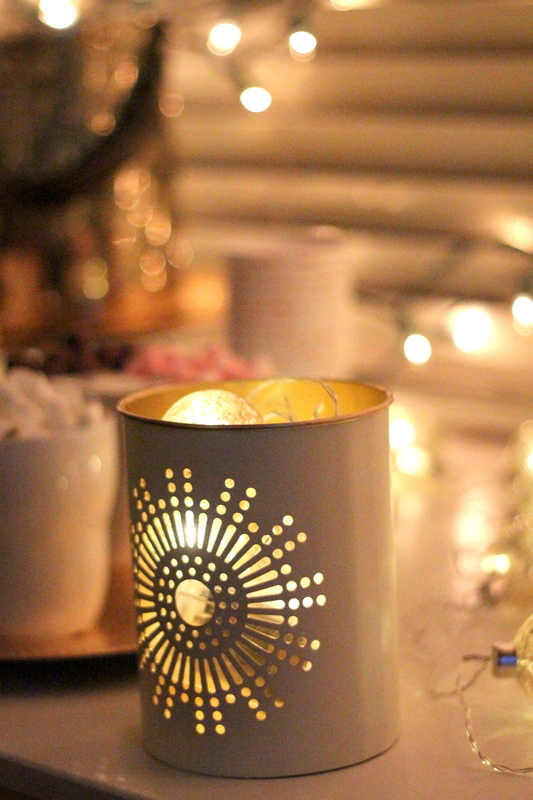 The twinkle-y glow was the perfect compliment to all of the brown, silver and gold. We played a “Who Knows Them Best?” questionaire game where guests tried to match Adam and Tricia’s answers on several baby-related questions (Does Adam/Tricia think the baby is a boy or girl? What are their top baby name choices? etc). I am probably partial, because the dad-to-be is my little brother, but I loved trying to predict their answers for all of these questions (and then hearing what they said)! 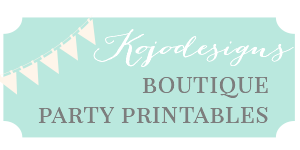 I also took a page from Lullaby Lubbock’s party favorites (those girls always have a guessing jar at their fabulous parties!) 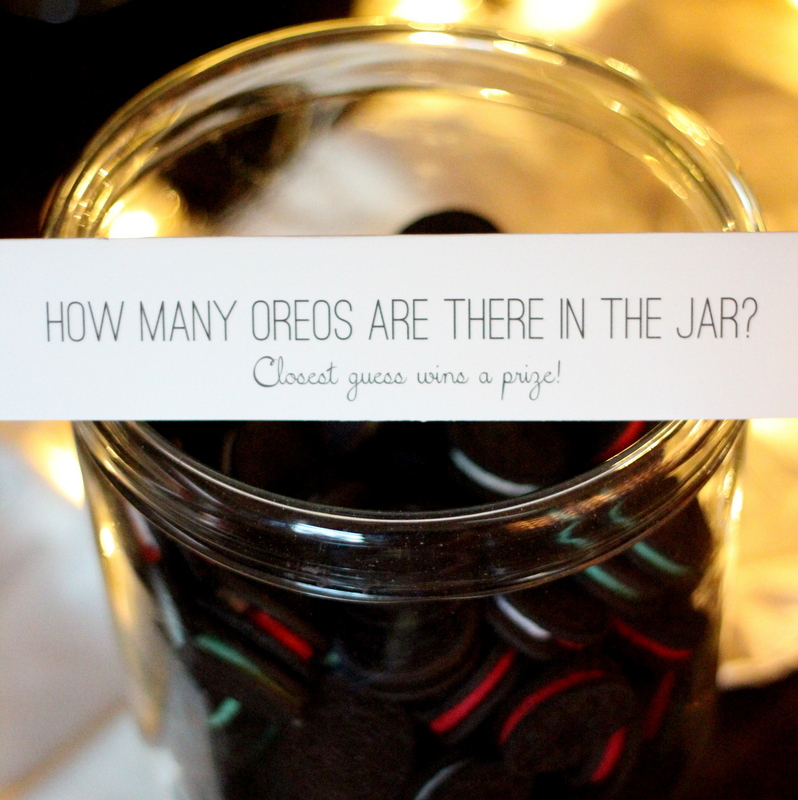 and a did a “Guess How Many Oreos” Jar. 105 was the answer in case you are terrible at spacial reasoning like me (both Brooke AND Katie guessed 105- can you believe that?!). 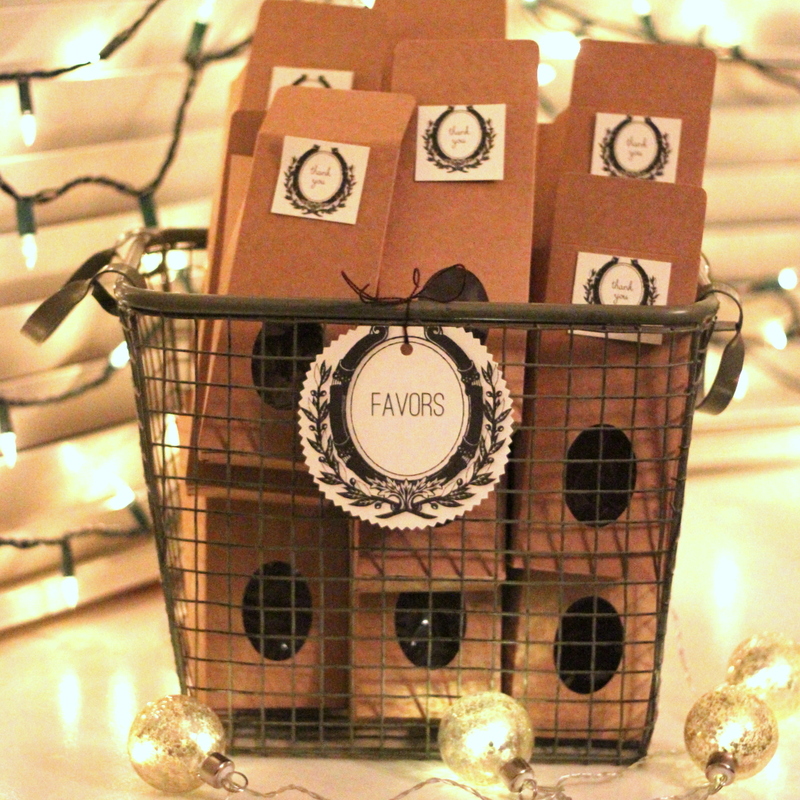 We set out little bakery boxes for guests to fill with chocolate treats on their way out the door. A stack of Oreos fit snugly inside (though, we had so much extra chocolate that I ended up ‘encouraging’ guests to take far more than a few Oreos and packed up to-go plates for everyone that would let me). Love this mama to be (and my little niece/nephew) more than I can express- how exciting to be able to put together a shower for Tricia (also, can. not. believe she is 31 weeks pregnant and still so adorable-y tiny). 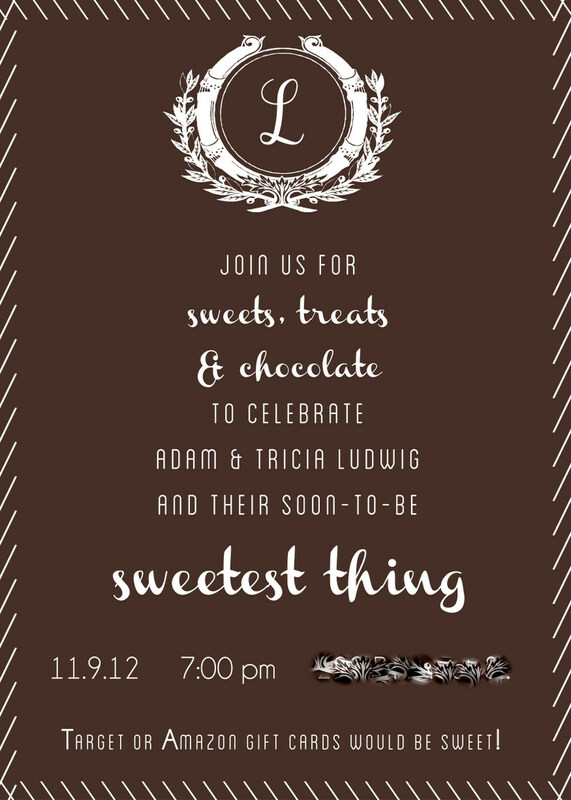 I am over the moon excited to meet their “Sweetest Thing” in January! Oh my! My daughter looked at the pictures and asked if she can has this for her high school graduation party in June. Why, yes, she can! She’s my sweetest thing, so why not!? Be still my heart! I LOVE everything about this shower – so elegant with all of the lights. Someone is always having a baby in our church, so I’m definitely going to remember this idea and hopefully use it someday. Fabulous job! 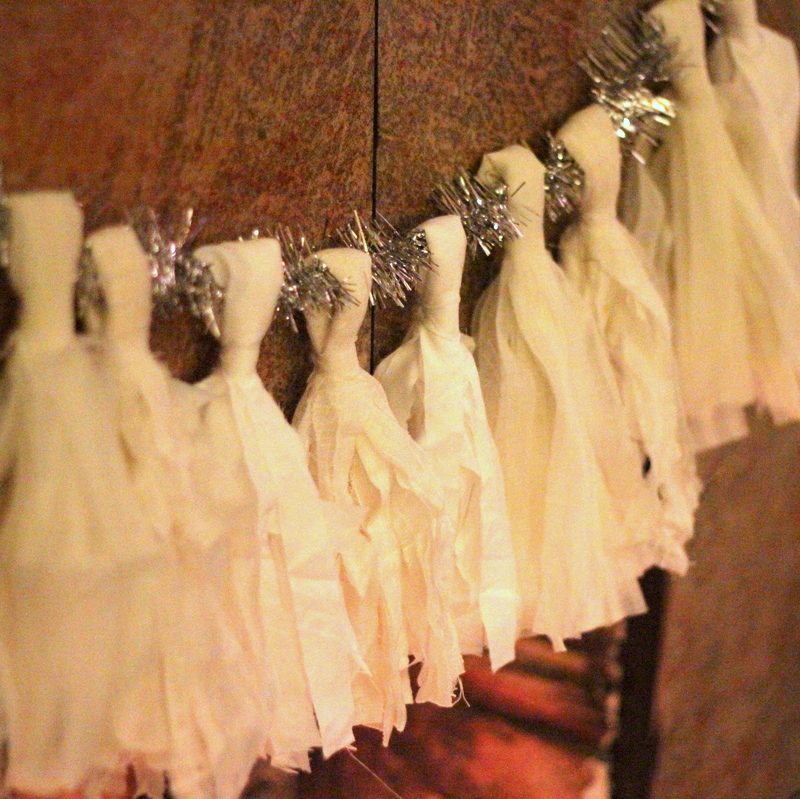 It was SUCH a fun shower, especially this time of year! 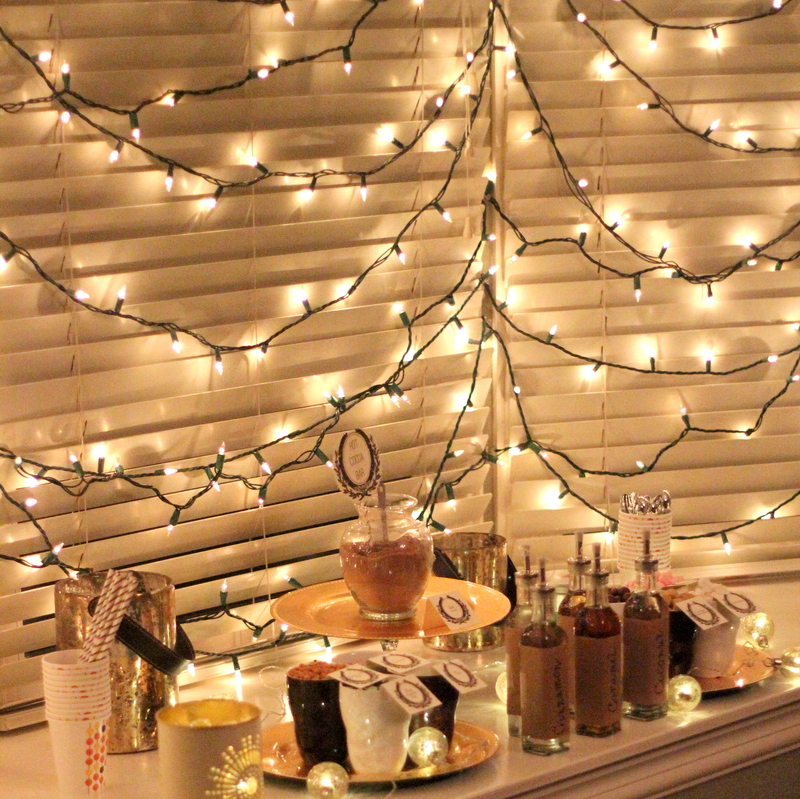 The twinkle lights made it feel so fancy, and girly, and holiday-ish! (PS. 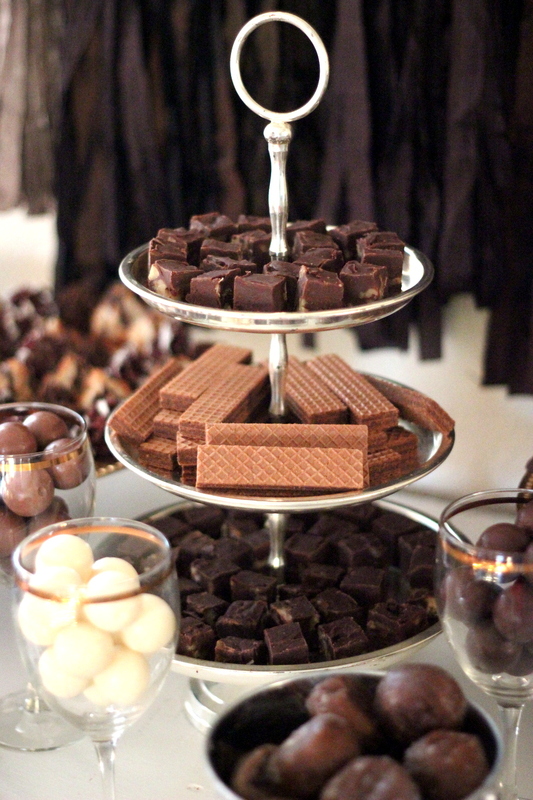 that collage of food pictures made me laugh out loud and crave something chocolate-y all at the same time). 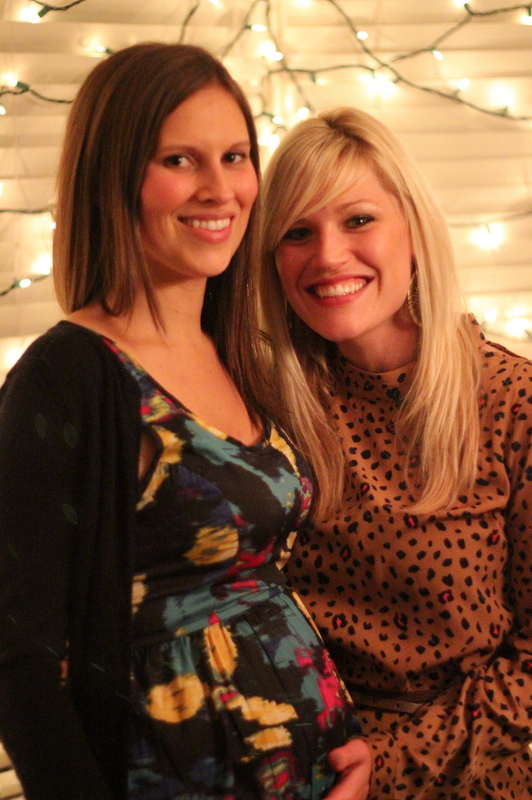 Thanks for such a fabulous (and delicious) shower:)! 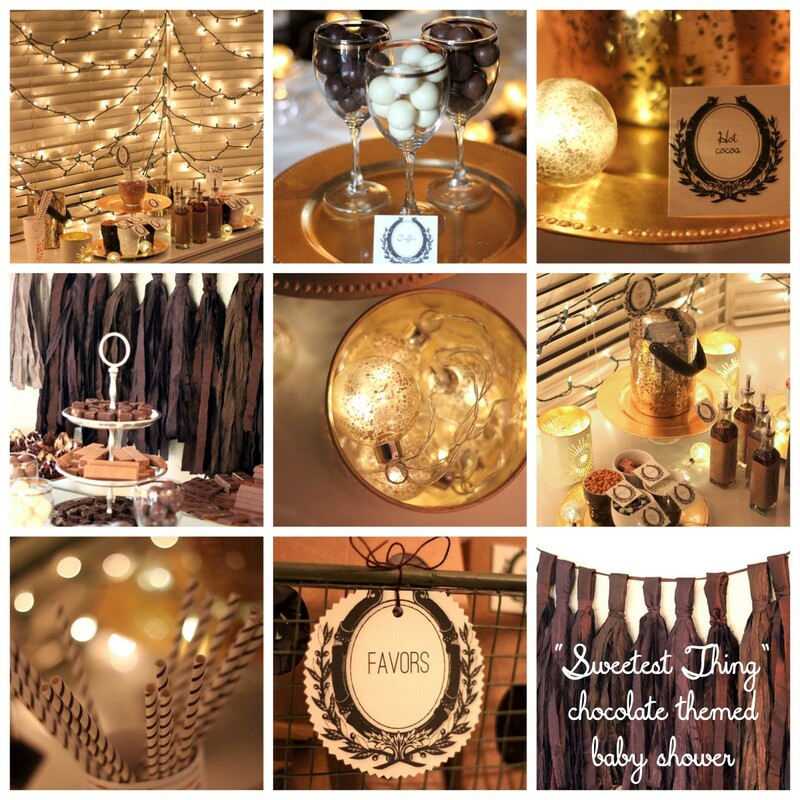 What a great baby shower theme (or any party theme really 🙂 I love the assortment of goodies you had, and the white lights are just gorgeous. I’m sure your SIL loved it! Thanks Jen! 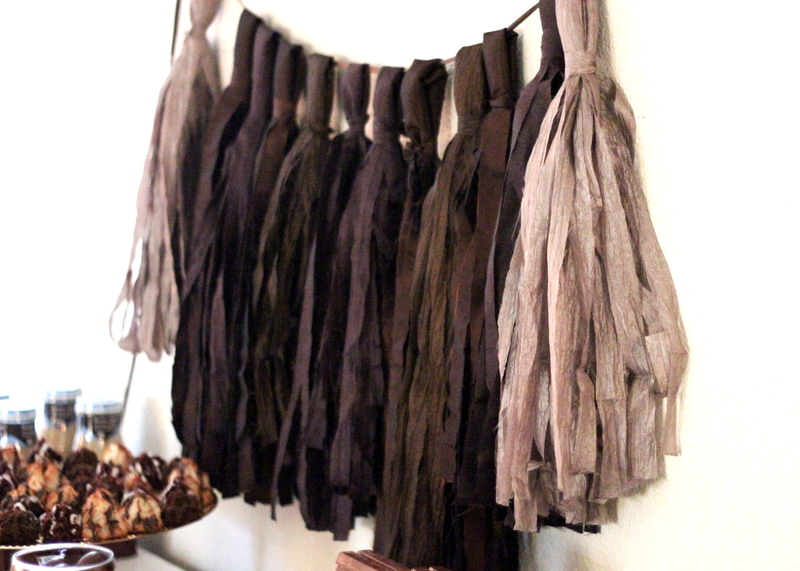 I was just at your fabulous blog the other day, checking out deer-themed showers (and other cute stuff!). Thanks for stopping by. can you tell me a little more about the hot chocolate bar? specifically, how did you do the hot water/milk? 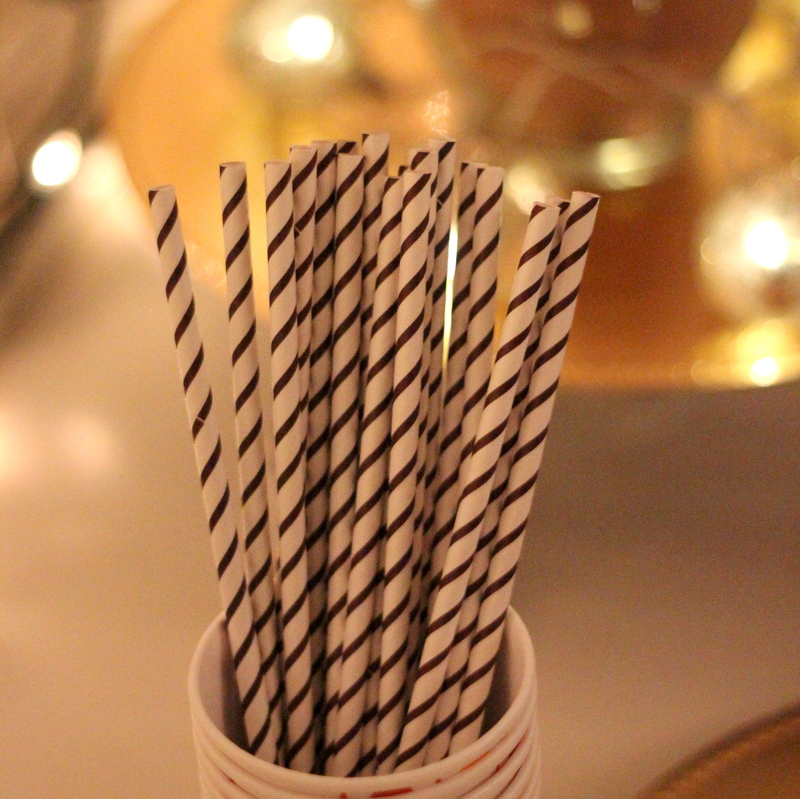 as far as the mix ins, do you just make your cup of hot chocolate & stir in the candy? 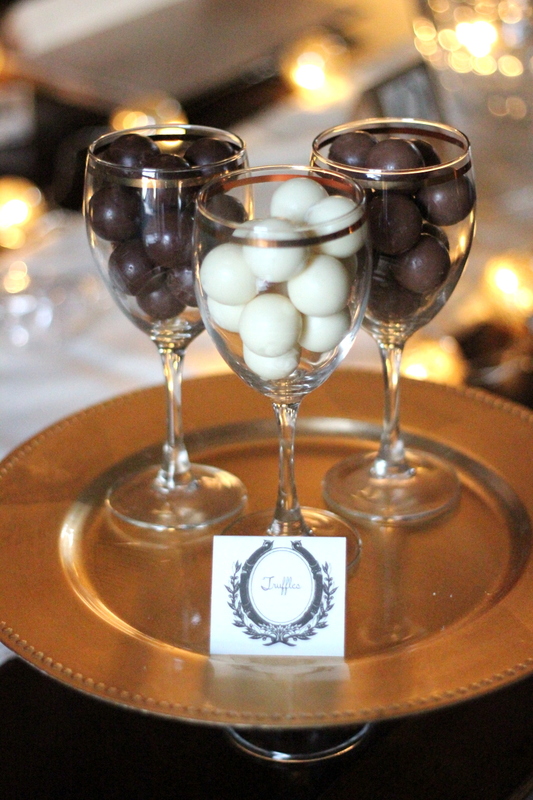 I am planning on having a hot chocolate bar for a Christmas party, but I’m not sure exactly how to set it up. I also considered making a hot chocolate stand (just like a lemonade stand) and letting my girls serve it, but I think I like this set up better. thanks!!! Hey Misty! Thanks for the comment. 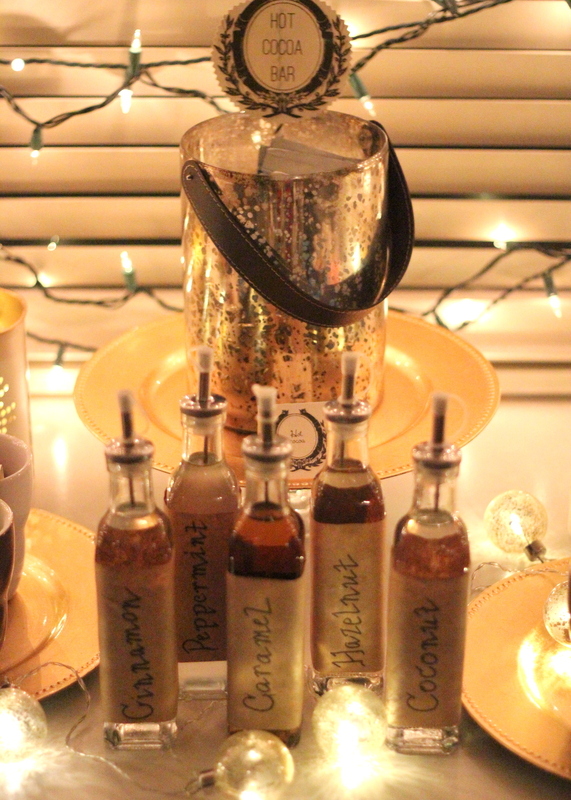 Since I’ve gotten several other emails with questions as well, I am putting together a post just about the hot cocoa bar! It should be up Tuesday morning. 🙂 Hope that helps. 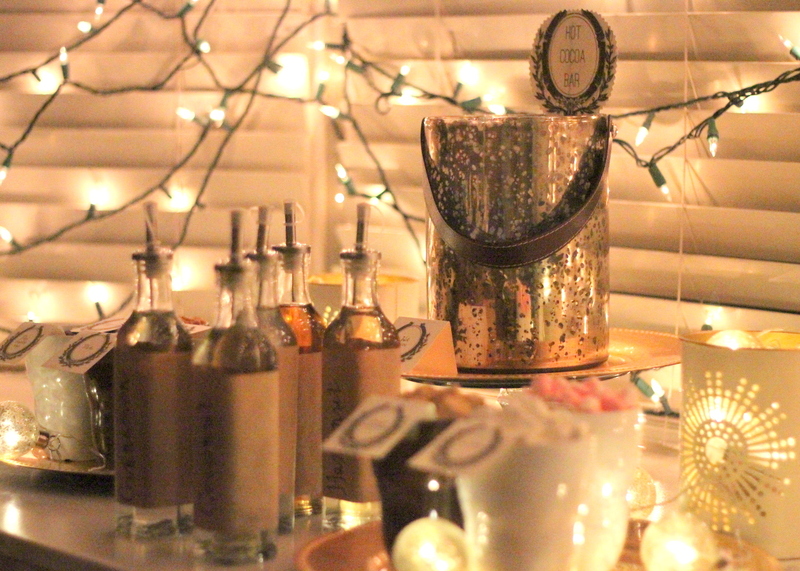 ps- LOVE the hot chocolate stand idea. That’s adorable! Hey Laurene- SO sorry- just saw this (and that I have an email fro you in my inbox as well). So sorry we don’t have those ones anymore!